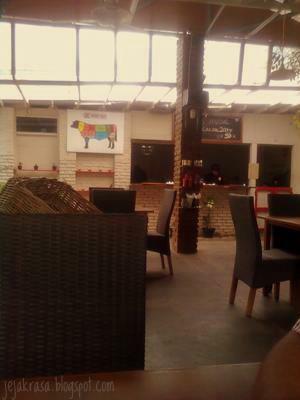 At first we honestly thought this place to be just another steak restaurant that utilized the other famous steak restaurant in Jakarta. So, we quite bit reluctant to go and visit this place. 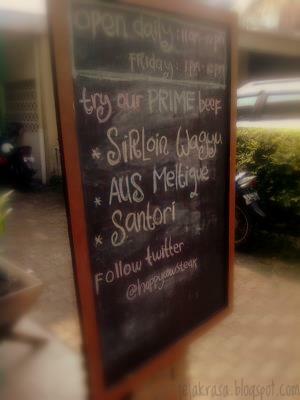 But after several review in twitter, and as we have quite free time today, we've decided to pay this place a visit. The first time we entered the restaurant, we already taken aback, as there's no other people currently eat here (I can't blame them, as its already past the lunch time). But we decided to eat anyway. 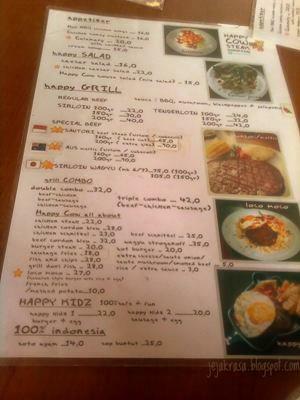 The simple menu offers choice of steaks, salad, appetizer, and weirdly, Indonesian food (its common in Indonesia). 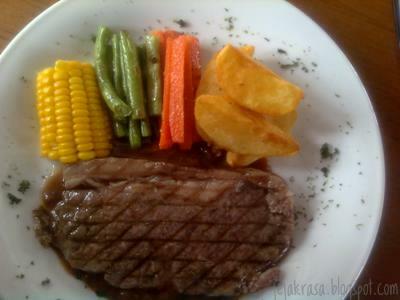 The price was the big surprise as it starts from IDR 22k for 100gr of beef steak. 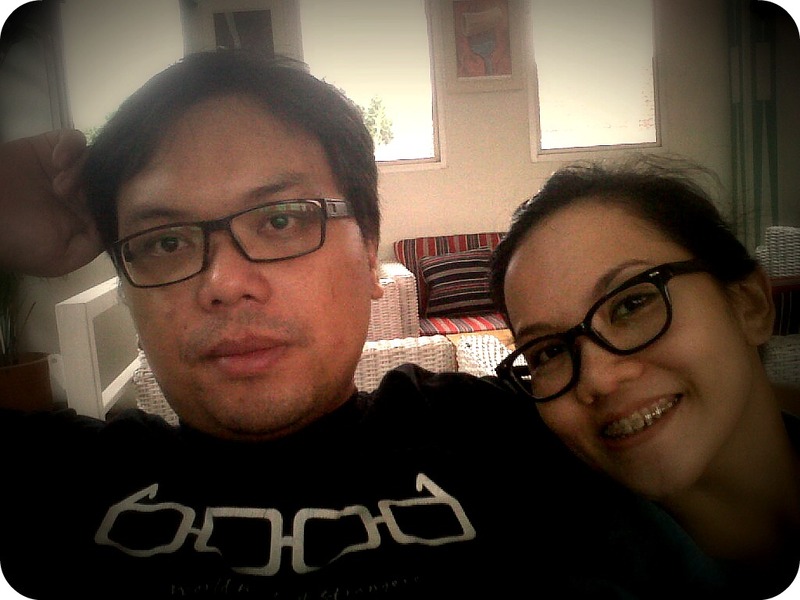 Alia ordered the sirloin steak, while I ordered the fish & chips. 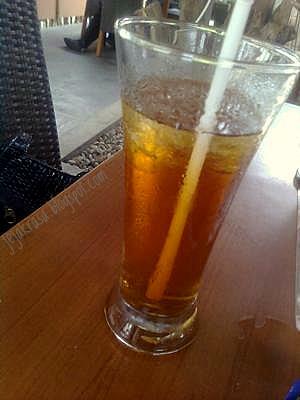 We ordered ice tea for beverages, as we don't want to spoil the taste of the meat. 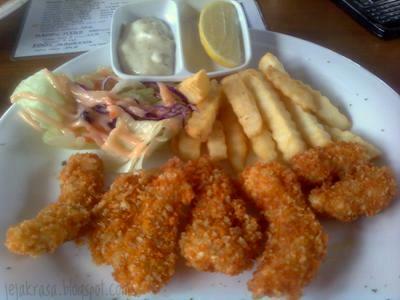 The fish & chips is ok for me, but it could be improved more by making it not like fish nugget. Also by changing the fish meat it will be phenomenal. 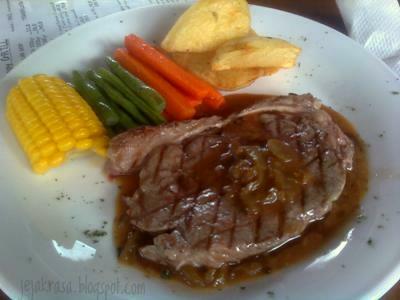 On the other hand, Alia's sirloin tasted great, and compliment for the chef, they can make it medium rare, even with this quite thin piece of meat. So good, I even ordered another plate of meat. It was quite funny story, when we passed the restaurant with Christa, our new friend from Holland, she was laughing when saw the banner. 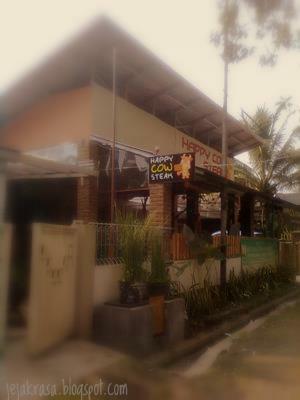 She said that she think the cows are not happy that they was going to be ate and laughing even more where she saw the words 'eat me' above the cow, considered the cow said it :) When we tweeted this to @happycowsteak they just replied, "One smiling ones to cut, showing happiness to give us their best meat." 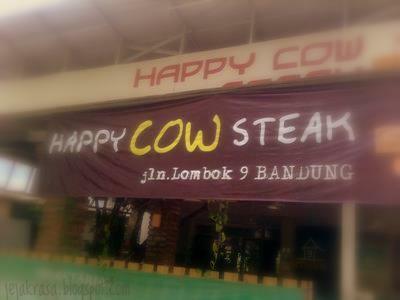 So, the next time you want to taste some steak, this place can become an alternative for you and let's make the cow happy. Enjoy!